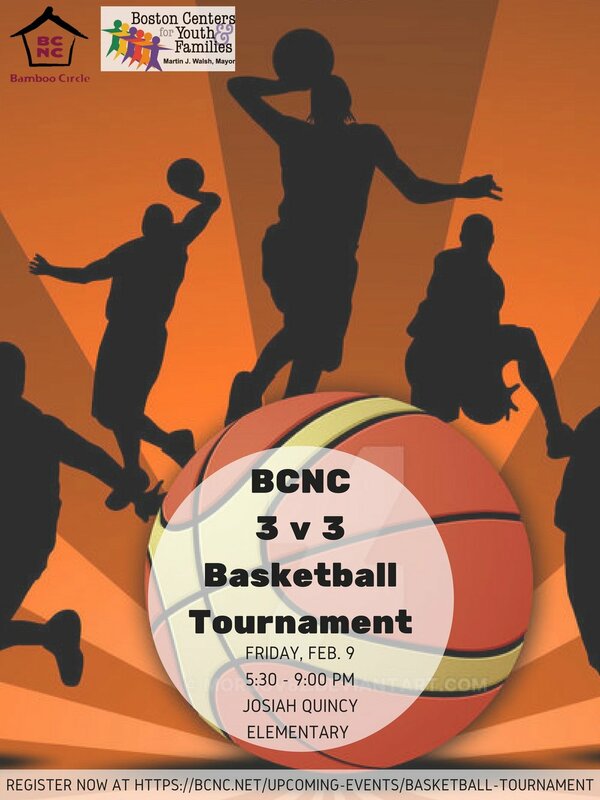 Come play in BCNC’s 2nd annual 3-on-3 basketball tournament at the Josiah Quincy Elementary School gymnasium! Bring your team of 3-4 players to compete for $200 in prize money, a trophy, and most importantly, bragging rights. Proceeds will benefit BCNC's Youth Center, which supports more than 150 low-income, Asian immigrant youth annually to participate in leadership, college access, and mentoring programs. Registration ends on February 6, 2018. A maximum of 16 teams can participate. The registration fee is $100 per team. The fee is nonrefundable, but transferable. Tournament rules: The tournament will have a double elimination format (your team will be eliminated from championship contention after 2 losses). Eliminated teams can still face other eliminated teams if courts are available. Games will be up to 11 points (straight up, not win by 2), with each basket being 1 point on a half court. The time limit for games is approximately 30 minutes, games may be shortened if score is well below 11 after 30 minutes. The final elimination game(s) will be held on the main court with no other games being played on the side. The games are self-governed; please respect all calls. Clear all balls when there is a change of possession. Teams may consist of 3-4 players, with up to 2 substitutions during a dead ball per game.